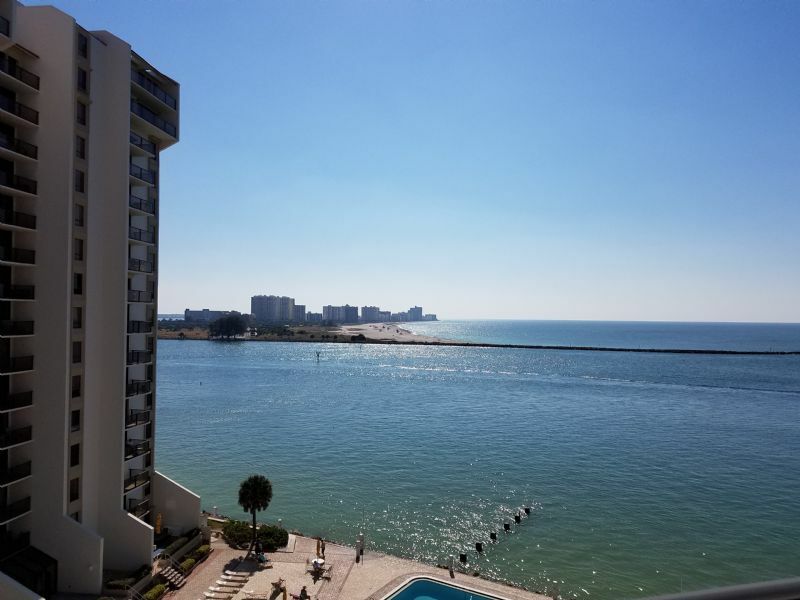 Amazing Gulf of Mexico views from this 9th Floor condo in the exclusive 440 West Towers in the heart of Clearwater Beach. Enjoy sunset dining on the balcony of this 2bd/2ba luxury unit after being a chef in the upgraded kitchen. Sleep comfortably during your dream Florida vacation in the master bedroom king bed or one of two queen beds in the guest room after a long day relaxing pool side or strolling along the world famous Beach Walk. Thirty day minimum and no pets. Includes parking.